Where Do Female Engineers Go? 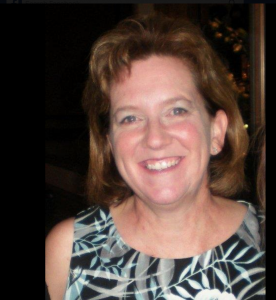 Nancy Gilmore has worked in the utility and construction industry since graduating from Cal Poly, and is the manager of planning and operations at GTS Engineering & Consulting. Gilmore actively champions issues associated with women in STEM in the engineering industry at large. While recent efforts geared towards getting young women to study science, technology, engineering and math have certainly increased graduation rates in these programs at many colleges and universities, they haven’t seemed to counter one particular impediment for women in engineering: Once they make it into the field, they often leave. Women make up more than 20 percent of engineering school graduates, yet only 11 percent of practicing engineers are women, despite decades of academic, federal and employer interventions to address this gender gap. Recent findings from a study conducted at the University of Wisconsin-Milwaukee and funded with a grant by the National Science Foundation show that roughly 40 percent of the degreed female engineers studied have left the engineering field. This attrition comes on the heels of women already under-represented in the field. By comparison, approximately 10 percent of men leave the engineering workforce. Over 5,500 women who had graduated with an engineering degree responded to the survey and indicated that the workplace climate was a strong factor in their decisions to not enter engineering after college or to leave the profession of engineering. My participation in this study allowed me to share my experiences and insights based on my 30-year career as a woman in a field dominated by men. In researching statistics for this article, there were three recurrent themes surrounding the underrepresentation of women in the field of engineering: self-confidence, workplace support and work-home conflicts. In essence, women’s self-confidence is vital to helping them fend off intentions to leave their current company. There are a multitude of studies outlining the gender “confidence gap.” Women can suffer consequences for their lack of confidence — but when they do behave assertively, they may suffer an additional set of consequences, ones which men don’t typically experience. Attitudes toward women are changing, and for the better, but a host of troubling research shows that they can still pay a heavier social and even professional penalty than men do for acting in a way that’s seen as aggressive. The more a woman succeeds, the worse the vitriol seems to get. It’s not just her competence that’s called into question — at times, it may be her very character. The good news is that the women who typically do stay in the field of engineering are those with high levels of confidence and those who can navigate the sometimes-double standards associated with confident women. As others see these women moving up the ladder, it provides the much-needed role models, mentors and sponsors for women following behind. Perfectionism is another confidence killer. Study after study confirms that it is largely a female issue, one that extends through women’s entire lives. Bob Sullivan and Hugh Thompson, the authors of “The Plateau Effect,” call this tendency the “enemy of the good,” leading as it does to hours of wasted time. The irony is that striving to be perfect actually keeps us from getting those things done which would advance our careers. We hear many references to having a mentor as a major support tool for women in engineering. However, it appears that the peer or first-level support is much more valuable in determining success and retention. Workplace support is a key component of the overall work environment. It is manifested in the multiple types and layers of support that employees experience at various levels in their workplaces. At a very broad level, workplace support is reflected in the extent to which a company values the contributions of its employees and shows care and concern toward all their employees’ well-being. One can also infer the supportiveness of a company by looking at the provision of training and development opportunities and clear and tangible avenues for advancement. Workplace support can also be gauged by looking at the interpersonal nature of relationships with one’s supervisor and co-workers. Women engineers who had supportive supervisors and co-workers were the least likely to consider leaving their organizations. While men and women across all job categories experience competing priorities between work and home, having a support structure in place greatly reduces tension. Women, being the minority in the field of engineering, typically don’t have as robust of a surrounding peer network that are experiencing the same challenges. Other work categories without this gender disparity do have that network of shared experiences, making it easier to navigate these challenges. While many times companies will provide programs to enhance work-home balance, programs such as flexible or part-time hours and job sharing, the implementation of these programs can be subject to the individual manager or supervisor’s concurrence. Actual approvals of these programs were few and far between at the beginning of my career in the late 1980’s. However, now many men take paternity leave in addition to women taking maternity leave. Men and women take time off or utilize programs to care for aging parents. I see my current company broadly implementing employee engagement programs, providing support and flexibility to the benefit of all its employees — all positive steps. My current company includes approximately 25 percent female engineers and managers, along with a female president at the helm. Cal Poly currently employs a multitude of female professors. When I attended Cal Poly in the late 1980s there was not a single female mechanical engineering professor on staff. In fact, I had no female professors for math, physics, chemistry or any engineering courses. Compare that with the current ratio of almost one in every four mechanical engineering professors at Cal Poly being female. So, are we where we need to be? No, not yet, but we’ve certainly made great strides in the right direction and must continue to do so.